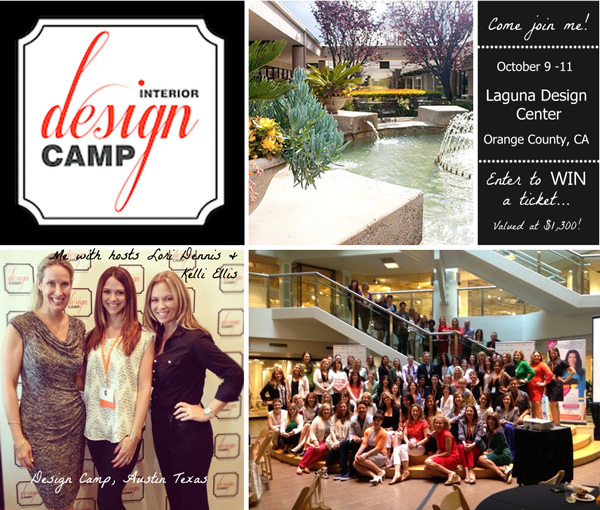 belle maison: Meet Me @ Design Camp, Orange County + WIN a Ticket to Attend! 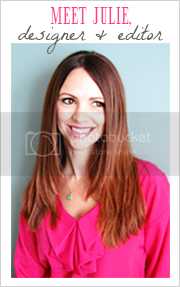 Meet Me @ Design Camp, Orange County + WIN a Ticket to Attend! Attention all designers, bloggers, design enthusiasts...I'm inviting you to join me at Design Camp this October in sunny Orange County, California (my neck of the woods! ), for a two-day event hosted and instructed by Celebrity Interior Designers Lori Dennis and Kelli Ellis! I attended the very first Design Camp last October in Austin, Texas and had an amazing time! This year I will be speaking about blogging along with one of my all-time favorites, Paloma Contreres of La Dolce Vita! The exciting line-up of guest speakers includes Katheryn Ireland, Nathan Turner, Cliff Fong, and MORE. WHAT'S DESIGN CAMP? The course is tailored for design professionals and design aficionados,with special guests segments led by local and national industry experts in niche fields. Each day runs from 9AM-6PM and is broken down into 8 segments per day. Drinks, Snacks, Lunch, and Cocktail parties included. By the end of Camp, attendees will have the confidence and ability to run successful modern-day design careers, execute magazine ready interior projects, take careers to an entirely new level, network and collaborate with local suppliers and colleagues. Click here to see the line-up of exciting speakers. WHEN & WHERE? October 9 - 11, 2013 in Orange County, CA @ The Laguna Design Center. Winner receives one entry ticket to Design Camp Orange County, $1,297 value! Email me (julie[at]bellemaison23[dot]com) on why YOU should be chosen to attend Design Camp and what you would look forward to most! The winner will be hand selected by me, so please make your comment thoughtful and detailed (and make sure I have a way to contact you if you win). 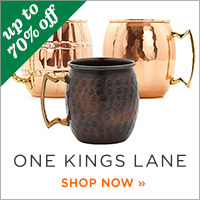 Mention the giveaway on Twitter (please include handle @TheDesignCamp and @ModernChicHome) and Facebook (https://www.facebook.com/thedesigncamp). The winner will be chosen and announced right here next Thursday, August 29th. Good Luck! PLEASE NOTE: The ticket DOES NOT include hotel and flight accommodations so if you do enter, please make sure that you will definitely be able to travel to California. Recommended hotel for design campers is the Ayres Hotel Laguna Woods. Best of luck & I look forward to reading your entries!